Looking downstream along the Santiam Canal from Albany’s Ninth Avenue. 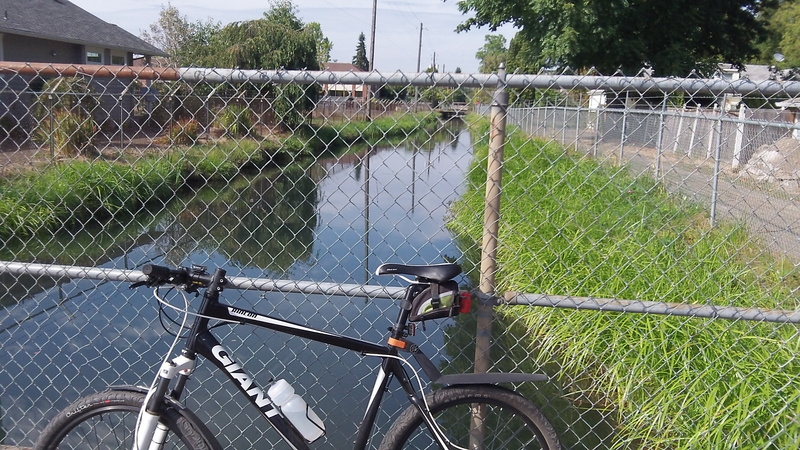 Contrary to what I reported on Sept. 17, the city of Albany says it could still build walkways or “esplanades” along the Santiam Canal even though it told the federal government it had no plans for and did not allow recreational uses along the canal. Public Works Director Mark Shepard told me Monday the city staff had looked into it. It found that the Federal Energy Regulatory Commission differentiates between trails and paths. Trails are recreational, but paths are for transportation. So when the city this month filed a request to be exempted from filing periodic recreation reports on the Santiam Canal hydro operation on the grounds that it was discouraging recreation and had no plans to provide any, this would not preclude plans for so-called “esplanades” lining Albany canals as proposed in the Town Center Plan of 1995 and the CARA urban renewal plan of 2001. Once again we are reminded that words are a tool of political warfare. And with highly paid bureaucrats wielding the sword, they will fight to the death to get what their political masters want – more spending power.